Charis Carter's primary goal as a performer is to encourage peace, hope and understanding through the art of music and self expression. This website is designed to keep you the listener, potential collaborators and the like connected and up to date involving everything Charis. She is an all around Mary Poppins hand bag with no limits or boundaries to what she may be involved with next. 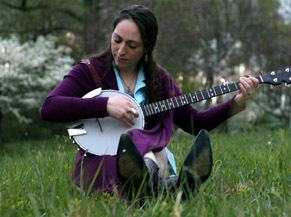 Charis' wide range of performance art is expressed through politically charged writing children's educational tunes, freelance songwriting, lead vocalization for The Penny Dreadfuls and story telling.